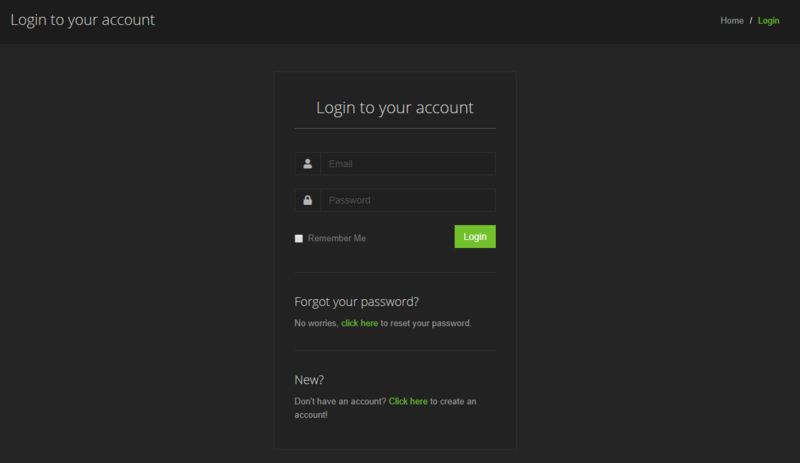 Once you are logged in, you will be returned to the homepage. At this point, head over your name and then select "Report﻿s". You should be greeted with a table and a button that will allow you to make a "New report". Hit the "New report" button. You can find how many reports you have left available to create and the maximum you can create altogether. You can see your current Open, Accepted and Declined reports. 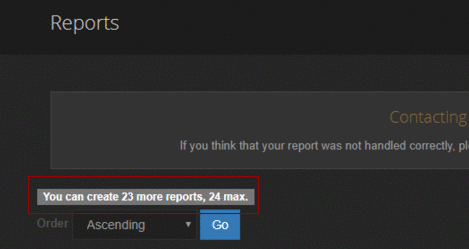 You can click the New report button to create a new report. 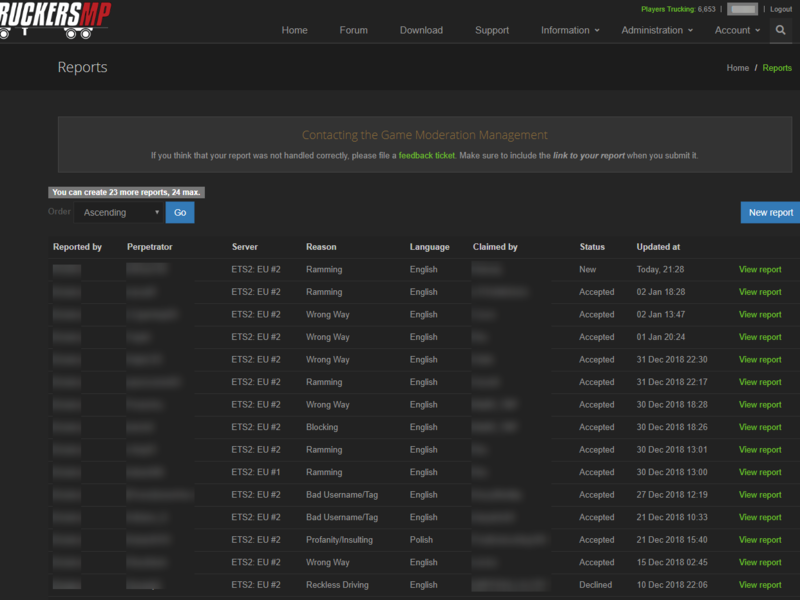 At this point, you will be able to fill out the information about the player that you are reporting. Please make sure to fill in all details about what happened, relevant video time stamps and evidence links. Please be aware that screenshot evidence cannot be accepted for most reports as it won't always prove what happened. Screenshots can be used for Insulting/Profanity and Nickname/Tag reports. Any evidence provided must be available to be reviewed for the length of the ban given PLUS 1 month. 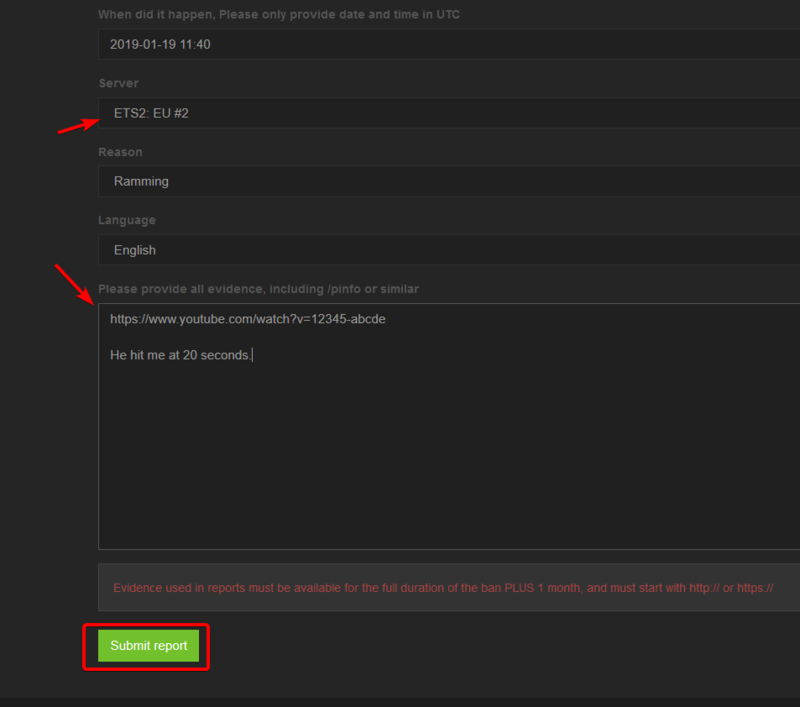 Bans may be removed if the evidence is removed early, and you may have your reporting access restricted. Note: If you input a TruckersMP Staff member's ID you will get a warning. If you input a TruckersMP ID of 3500 or lower, you will get a warning to double check the ID you are inputting. 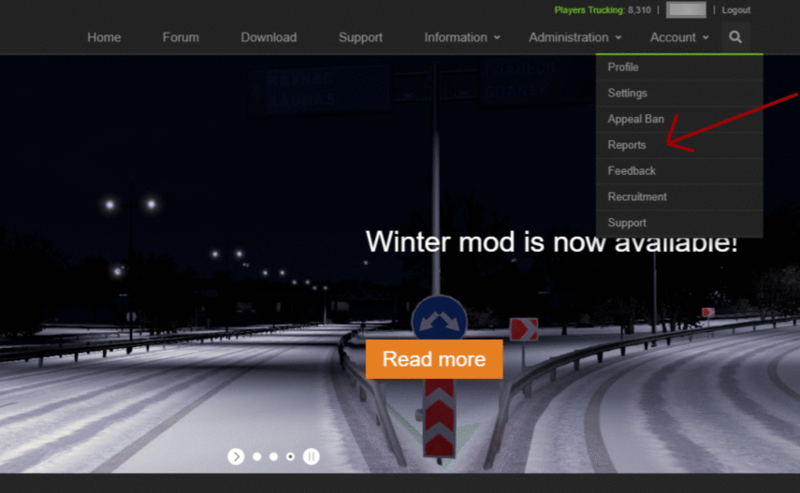 Check the correct username is shown after you input the TruckersMP ID. Once done, click "Submit report"
After this, you will be returned to your submitted report. It should look something like the following. You can find the status of the report here. You can also see the admin's comment and if it was rejected, why it was rejected. You won't be shown as to whether you were given positive or negative rep for the report. 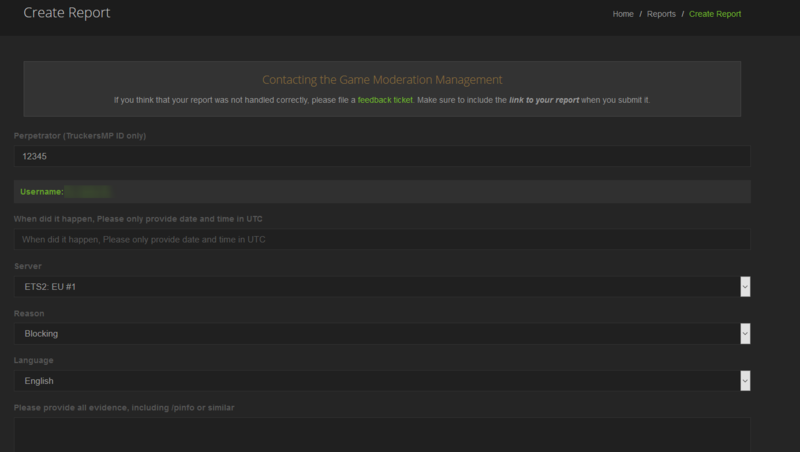 You can also find the status of your reports back by clicking on your name and then hitting -> "Reports". As you can see here, your available reports have now gone down by one to show that you have one report waiting for action.